I believe I am in a relationship with Jeffrey Campbell shoes. I just love how edgy and unique their shoes are. This is one of the most comfortable shoes I own. However, on this day, I decided to pair it with my denim harem pants that I got almost two years ago from Victoria's Secret with a plain tank top. Of course, I had to add some hint of color with the blue blazer and the turban. For the turban, I used an African print material that I received last year from my mother-in-law. This outfit has a "tomboy meets girl" feel to it. Anyway, stay cool & hydrated. J'adore!! You are giving me June Ambrose with this look...fabulous as usual! i hope you'll come visit my blog and see my posts about my journey in spain and my first look since returning to the states! The head piece really bring the outfit together.You look great. Love this look. I love this look and those shoes.....FAB!!! Love this look!Blue suits you perfectly! I love those harems. and the BLAZER! Dope all the way around. Fabulous outfit, love the necklace and scarf! This look is perfection! Those pants look great on you. I like this you look fantastic and this blue electric on you looks awesome ! 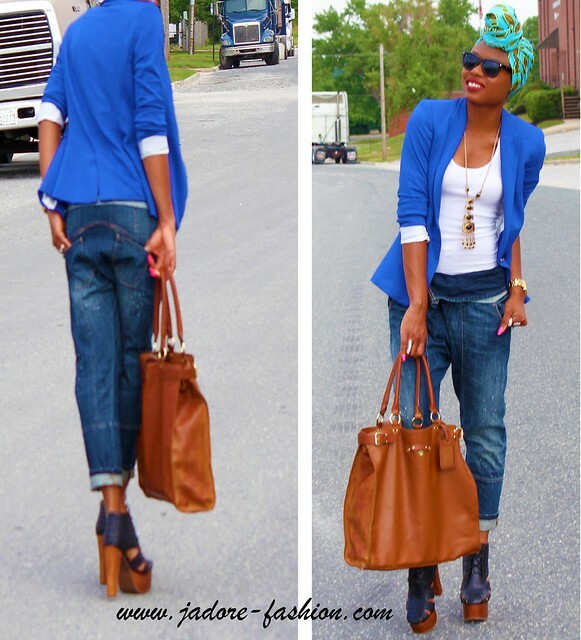 Love the turban, Love the shoes ! You have to know you look AMAZING!! 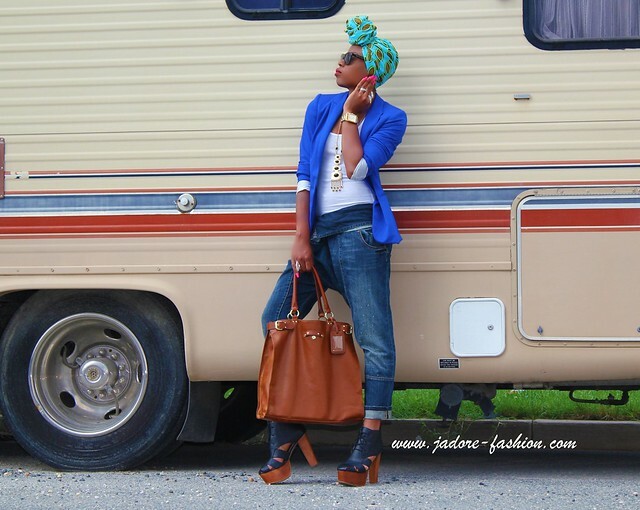 Everything you have on, from the turban to the shoes is a WIN!! 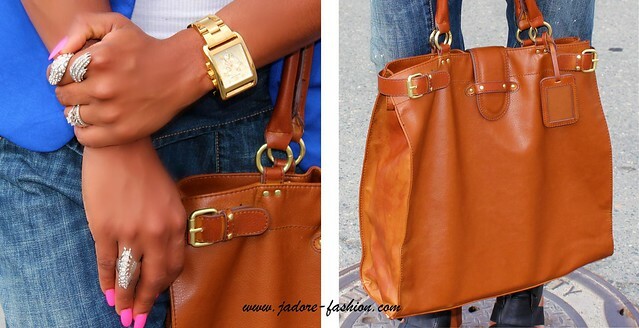 I love your style, so much inspiration!!! I totally love your turban!! beautiful outfit!!!! love the pants, and platforms, you look great!!! This look is so haute! I am dying to get a pair of Jeffrey Campbell shoes! Soon! LOVE the head wrap! Absolutely gorgeous! Yay!!! I love the jeans and the shoes.